Deadwood is a small town with a big history. There is lots to see and do. Something for everyone. Take a look at the latest events, attractions or annual events – you don’t want to miss out on the fun. 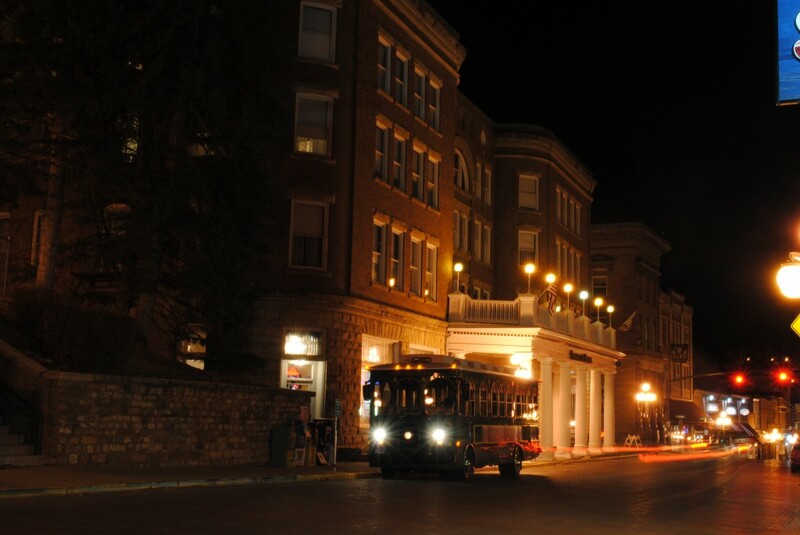 The Deadwood Trolley is a great way to get acquainted with Deadwood South Dakota. It only costs a dollar to ride it and you get to see most of the town or just take a walk down Deadwood’s Main Street. There are many great places to eat and shop. Visit the grave of Seth Bullock at Deadwood’s Mount Moriah Cemetery. Or, hike up to Friendship Tower on Mount Roosevelt just a few miles out of town. There is so much to explore in and around Deadwood. Other than the Casinos, Hotels and restaurants, there is lots to keep you busy. My favorite is Black Hills hiking and winter sports. Also, Spearfish canyon is a beautiful drive that is close to Deadwood. Deadwood is surrounded by the Black Hills National Forest, the Mickelson Trail starts in Deadwood and the 111-mile Centennial Trail starts at Bear Butte. Contact me with anything you’d like to see featured on this web site.